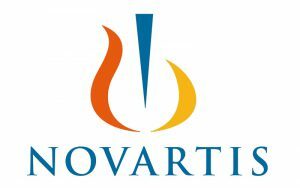 Novartis (NVS) announced that the Committee for Medicinal Products for Human Use of the European Medicines Agency adopted a positive opinion recommending approval of Kymriah – a novel one-time treatment that uses a patient’s own T cells to fight cancer. The positive opinion includes two B-cell malignancies: B-cell acute lymphoblastic leukemia that is refractory, in relapse post-transplant or in second or later relapse in patients up to 25 years of age; and diffuse large B-cell lymphoma that is relapsed or refractory after two or more lines of systemic therapy in adults. 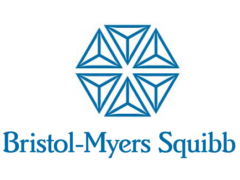 If approved by the European Commission, Kymriah will be the first CAR-T cell therapy available in the European Union for both DLBCL and B-cell ALL. Both B-cell ALL and DLBCL are aggressive malignancies with significant treatment gaps for patients. In Europe, ALL accounts for approximately 80% of leukemia cases among children, and for those patients who relapse, the outlook is poor. This low survival rate is in spite of patients having to undergo multiple treatments, including chemotherapy, radiation, targeted therapy or stem cell transplant, and further highlights the need for new treatment options. DLBCL is the most common form of non-Hodgkin lymphoma, accounting for up to 40% of all cases globally. For patients who relapse or don’t respond to initial therapy, there are limited treatment options that provide durable responses, and survival rates are low for the majority of patients due to ineligibility for autologous stem cell transplant or because salvage chemotherapy or ASCT have failed. The positive CHMP opinion is based on two pivotal Novartis-sponsored global, multi-center, Phase II trials, ELIANA and JULIET, which included patients from Europe, the US, Australia, Canada and Japan. The collaboration of Novartis and the University of Pennsylvania has led to historic milestones in CAR-T cell therapy since 2012, including the initiation of the first global CAR-T trials, the PRIME designation granted by the EMA for Kymriah in pediatric patients with r/r B-cell ALL, and the approval of Kymriah in two distinct indications by the US Food and Drug Administration. The Novartis CAR-T cell manufacturing platform includes cryopreservation, the process of freezing patients’ harvested cells in order to preserve them, which provides physicians with the flexibility to decide when to initiate both the harvesting of patients’ cells and the infusion of Kymriah, based on each patient’s condition, and allows for this individualized treatment approach on a global scale. NVS closed at $73.00, it last traded at $75.50. In a research note to investors, Jefferies analyst Michael #Yee identified what he sees as ten potential disclosures or announcements that could come in the next two weeks to start 2018. 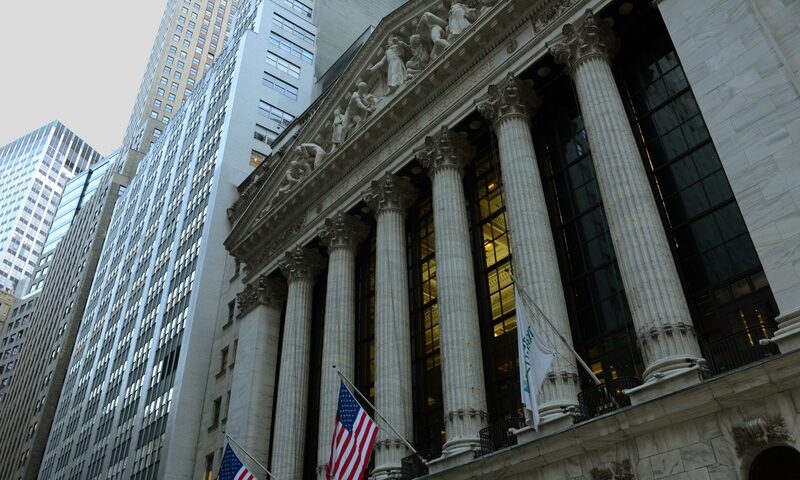 Among the names that may see stock-moving events as the new year begins are Celgene (CELG), Biogen (BIIB) and Vertex (VRTX). Jefferies’ Yee told investors that “turning the page to 2018 and into a January conference,” he is modestly optimistic that large-cap biotech picks up a bit given the recent pullback, tax reform and low investor expectations. He reiterated that the big biotech names are working toward a much bigger 2018 product cycle and late-stage data read out period. Thinking outside of the box, the analyst pointed out that the key upside “wild-card” is whether “big consolidation” actually occurs in the large caps based on pharmaceutical companies buying pharma or “big biotech” companies. Other than surprise M&A deals that could swing sentiment in biotech, Jefferies’ Yee sees the potential for at least ten stock-moving announcements within his coverage going into a major industry conference in two weeks. 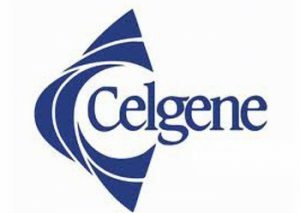 The analyst told investors that #Celgene is likely to pre-announce results for its fourth quarter and provide new 2018 guidance, though investors should assume that outlook could be conservative. #Biogen could also disclose color around Spinraza patient numbers and update on aducanumab Alzheimer’s enrollment, he contended. 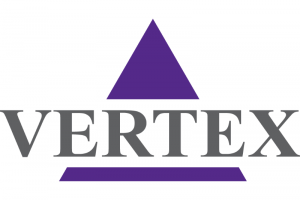 Yee argued that #Vertex could pre-announce on its fourth quarter but may not provide 2018 Cystic Fibrosis guidance until its ‘661 combo is approved in February. The company could also disclose Phase 3 triple plans and update on Phase 2 data. Regarding #Alnylam Pharmaceuticals (ALNY), the analyst highlighted the company may discuss the path forward for ALN-TTRsc02, update on the ALN-GO1 phase 1 program, or announce a new program in the near-term. 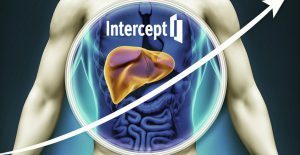 #AveXis (AVXS) may provide FDA meeting updates and next steps post recent regulatory discussions; Intercept Pharmaceuticals (ICPT) may pre-announce fourth quarter Ocaliva sales or announced the initiation of a Phase 3 cirrhosis study, or give color on upcoming FDA label change; and Assembly Biosciences (ASMB) could announce Phase 1b HBV data on viral knockdown, he contended. Lastly, Yee pointed out that Axovant Sciences (AXON) may report Phase 2B data for intepiridine in dementia with Lewy bodies and nelotansersin in visual hallucinations, while Acorda Therapeutics (ACOR) is likely to pre-announce 2017 Ampyra net sales and provide 2018 financial guidance, and FibroGen (FGEN) could disclose HRCT imaging IPF data or Phase 2 pancreatic cancer data for pamrevlumab. Celgene (CELG) and the Lymphoma Academic Research Organisation reported results from a phase III, randomized, open-label, international clinical study evaluating Revlimid plus rituximab – R2 – followed by R2 maintenance compared to the standard of care with rituximab plus chemotherapy followed by rituximab maintenance in patients with previously untreated follicular lymphoma. The R2 treatment arm did not achieve superiority in the co-primary endpoints of complete response or unconfirmed complete response at 120 weeks and progression-free survival during the pre-planned analysis. Neither arm was superior for either of the co-primary endpoints. The safety findings were consistent with the known profiles of the regimens investigated. Additional analyses are ongoing and planned. Piper cuts Celgene target to $100 on second Revlimid failure in lymphoma – Piper Jaffray analyst Christopher Raymond lowered his price target for Celgene to $100 from $109 after the Phase 3 Relevance trial evaluating Revlimid plus Rituximab in front line follicular lymphoma failed to show superior efficacy versus standard-of-care. #Raymond tells investors in a research note. This latest failure could have a near-term negative impact on Revlimid’s revenue trajectory since a “decent chunk” of off-label use in the U.S. likely stems from lymphoma, the analyst contends. He sees a “new element of uncertainty” and keeps a Neutral rating on Celgene. Jefferies analyst Michael Yee says the failed Phase III Relevance study announced tonight by Celgene is irrelevant. The study had somewhat low expectations and it also makes Revlimid “less big,” which isn’t necessarily a bad problem, Yee tells investors in a research note. The analyst says his thesis on the stock is unchanged and keeps a Buy rating on Celgene with a $125 price target. The stock in after-hours trading is down 4% to $103.76. It has a 52-week trading range of $94.55 – $147.17. Genentech, a member of the Roche Group (RHHBY), announced the first results from the pivotal Phase III MURANO study evaluating Venclexta plus Rituxan compared to bendamustine plus Rituxan for the treatment of people with relapsed or refractory chronic lymphocytic leukemia. The results showed that a fixed duration of treatment with Venclexta plus Rituxan significantly reduced the risk of disease progression or death by 83% compared with BR. No new safety signals were observed. Venclexta is being developed by AbbVie (ABBV) and Genentech, a member of the Roche Group. It is jointly commercialized by the companies in the United States and commercialized by AbbVie outside of the United States. 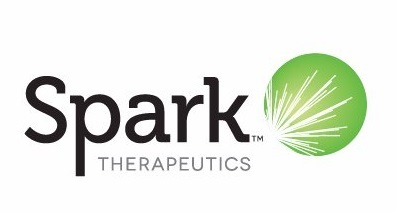 Data from the MURANO study will be submitted to global health authorities, including the U.S. Food and Drug Administration, which has granted Breakthrough Therapy Designation for Venclexta in combination with Rituxan for the treatment of relapsed or refractory CLL based on promising results from the Phase Ib M13-365 study. Venclexta was granted accelerated approval by the FDA in April 2016 for the treatment of people with CLL with 17p deletion, as detected by an FDA approved test, who have received at least one prior therapy. The MURANO study is part of the company’s commitment in the United States to convert the current accelerated approval of Venclexta to a full approval. MURANO is a Phase III open-label, international, multicenter, randomized study evaluating the efficacy and safety of Venclexta in combination with Rituxan compared to bendamustine in combination with Rituxan. All treatments were of fixed duration. The study included 389 patients with relapsed or refractory chronic lymphocytic leukemia who had been previously treated with at least one, but not more than three, lines of therapy. Patients were randomly assigned in a 1:1 ratio to receive either Venclexta plus Rituxan or BR. The primary endpoint of the study is investigator-assessed progression-free survival. Secondary endpoints include PFS assessed by independent review committee, overall response rate, complete response rate, overall survival, minimal residual disease status, duration of response, event-free survival and time to next CLL treatment. RHHBY closed at $30.26. ABBV closed at $96.47.